This summer we stood as a family and looked at the Grand Canyon. It was huge and amazing, and my girls stood in awe of the view. We talked about how the canyon formed. That it started as a simple stream that eroded away the area around it. This canyon did not form overnight. It had many different forces that made it. 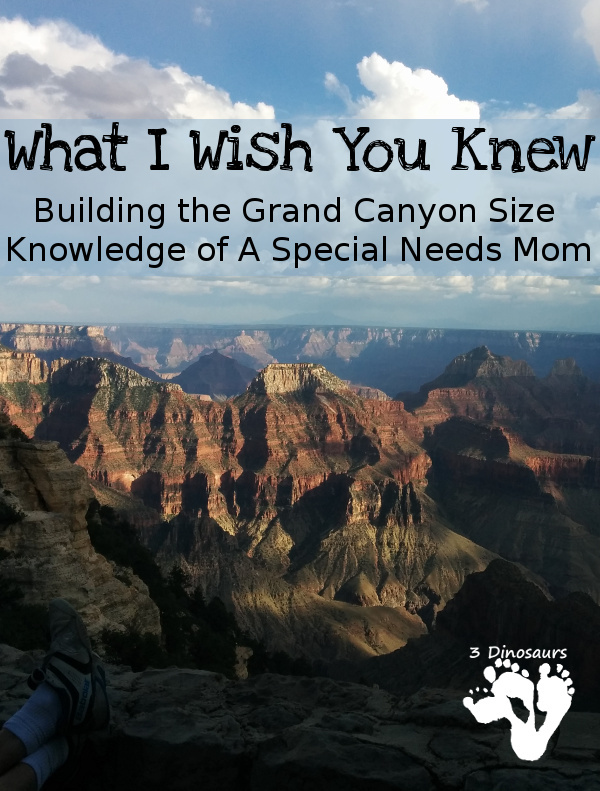 I thought about the Grand Canyon and my journey as a mom of a special needs child. My knowledge started as the small stream that grew wider and dug down to build the grand canyon of my knowledge today. I’ve put together some of my thoughts about what I have learned while gathering and creating my grand knowledge. No one stream is going to be the same but some of these just might stick with you. When my journey started, I was a mess. We left the doctors, and I just wanted to collapse right where I was. I did not want to take another step. I felt like the world had just ended. I was in tears by the time we reached the car. I had to hold it together for everyone, but that was not true. My tears were an important release for everything that was going on. I needed that as much as other things. Even now when the the winds of change blow by I remember that I’m building a canyon wide and deep and my tears just help grow my knowledge. I admit that there are days I still cry and I try and understand my tears and just let them come. I’ve come to call my crying “mommy time out.” And it is okay if my girls see me cry. They need to see your emotions and feelings. While you are navigation your canyon, you might find that you need help along your way. You might have found your way into a dead end in your canyon. Others been through similar things or just might have a view of your canyon from another point of view. I know sometimes I feel lost. I don’t ask for help as much as I should. 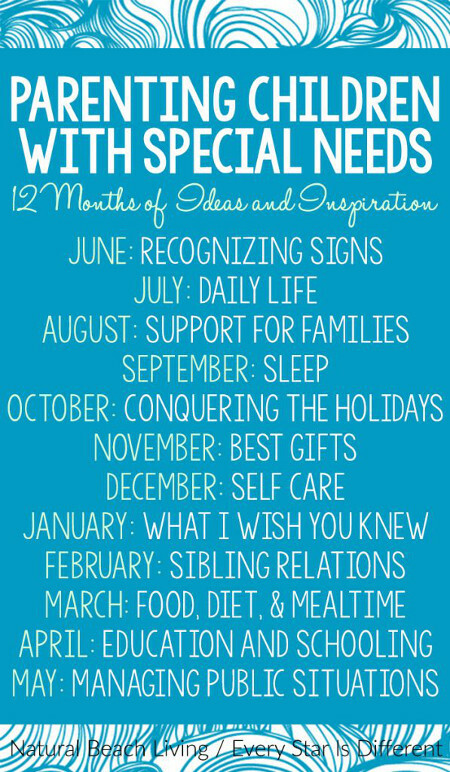 But I have asked not only other special needs mom but friends. At times the best support can come from a variety of people. 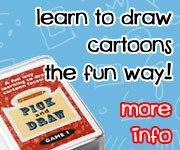 There are so many resources now you can check out. You can also find help online or in support groups online. But be sure the ones you find a match to who you and your child are. You can think of this as a small stream that is helping to build your canyon of knowledge. It is okay not to follow all the advice you are given. While at the Grand Canyon someone told us we just had to walk off our set path because it was such a good view. I could see our trail clear ahead, and the path they suggest did not sound wise for what we wanted to do. Later I was happy that we did not because our current path turned out better. It is the same with advice from friends, family, and others. Some tips will fit where you are going and what you want. Other advice might take you in a direction you don’t want to do. I always thank the person and tell them I’ll think about and see if it fits us. I had a doctor suggest a book, and it turned out I hated the book and yet it was supposed to be the best book for me to read on the subject I was looking for. No one person or book has all the answers that will work for you and your child. It is okay to think of your special needs child as a child. Many times I find myself thinking of the daughter as “what she has” rather than my child. I try and work around the diagnosis and don’t think that she is still a child and wants to be a child. My child is helping me building my canyon of knowledge. I need to use my canyon knowledge to let her be a child. They want to have fun and play just like other kids. We as parents can help them be the kids they want to do. Use your knowledge in helpful ways and not harming ways. 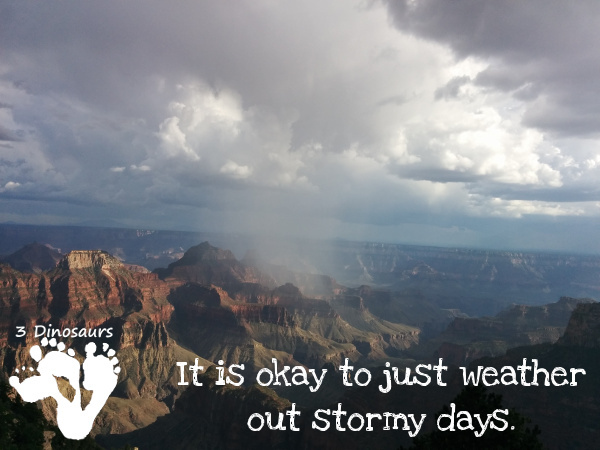 It is okay to just weather out stormy days. At the Grand Canyon, we watched a storm coming across towards us. It was amazing to watch, and I asked my girls what we should do. We stayed and watched but made plans for what to do. It is so similar to many days. I just want a quick plan just to weather out whatever is happening. We have to understand that the storms come and they will help build our canyons and figure out what to do after the storm has passed. It may help us come up with plans for the next storm we see. Often I don’t take any time for me. And I have to build up my emotional reserves to navigate my canyon to help my child. I can’t do that if I don’t have time for myself. It is okay to have hobbies and interests that don’t involve your special needs child. It is okay to be who you are. Don’t feel guilty for taking your time. It is something you need to do. Your canyons are always going to be craving and changing as life and knowledge come. Remember as you are worn away with time, that you are building your grand canyon of knowledge. And every change will help your carve out who you will be as a special needs mom. This is the seventh post with 12 other bloggers. You can read everyone’s posts about “What I Wish You Knew”. This entry was posted in parenting and tagged autism, parenting help, special needs. Bookmark the permalink. This is such a wonderful post! I totally agree that it’s okay to not follow every expert advice. Parents usually have a better sense of what works for their child and their family. It is also important to remember that your child with special needs is still a child. I could absolutely relate with your description of this journey. So important to know that we aren’t alone on this special needs parenting walk.